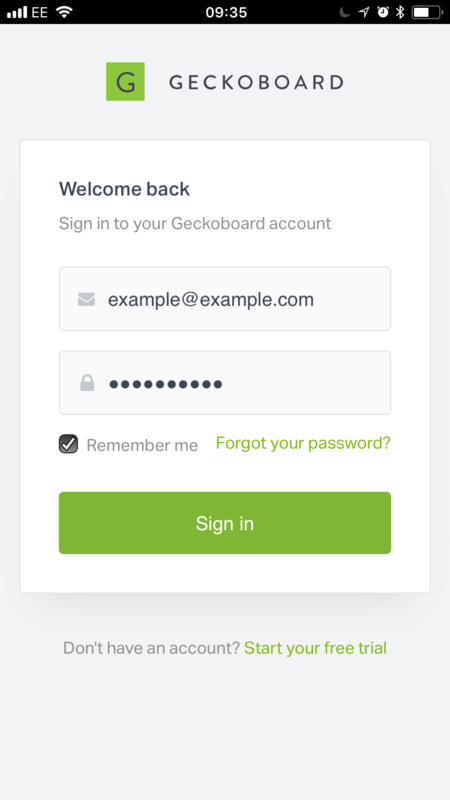 Our “Progressive Web App” enables you to load mobile-friendly dashboards on your device of choice simply by logging into Geckoboard in your mobile browser. 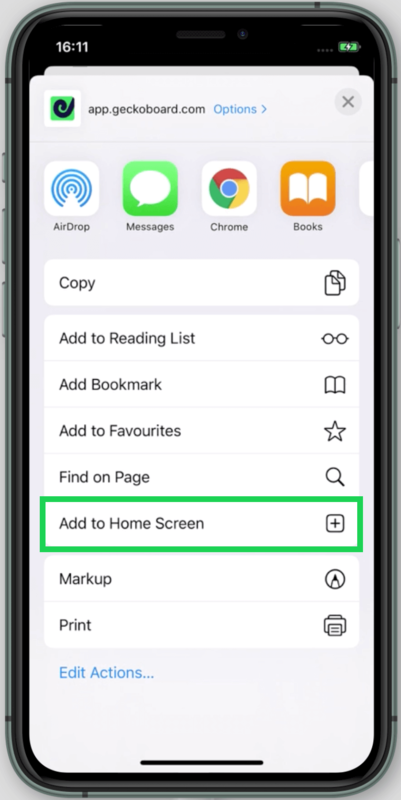 If you access your dashboards several times a day or simply want the convenience of accessing them with a single finger tap, you can add a button to your Home Screen that looks just like an app icon and will launch Geckoboard's progressive web app directly in your browser. Once logged in, you’ll be able to browse all the dashboards on your account, with all your widgets, goals, status indicators and custom themes intact. Navigate to www.geckoboard.com and choose Login. From the login page, type in your credentials and check  Remember me. Once logged in tap the Add Geckoboard to Home Screen banner. Touch ADD and Geckoboard's progressive app will join your other apps and widgets. Once logged in, tap the Share button on the menu bar (the icon on the right side that’s a box with an arrow sticking out from it). On the next page you’ll give the shortcut a name and confirm the address.